Few, if any, soldiers’ careers compare to the depth and breadth of that compiled by Gen. John L. “Black Jack” Pershing. Pershing was commanding the U.S. Military Academy color guard when President Ulysses S. Grant’s funeral train crossed the Hudson River. He crossed into Mexico in 1916 with a force of nearly 10,000 men in pursuit of revolutionary Pancho Villa. And during the pivotal 1918 Meuse-Argonne Offensive of World War I, Pershing’s redeployment of about 600,000 American soldiers to the forests of the Argonne led directly to Germany’s request for an armistice. Years later, during a December 1922 speech before the Women’s Republican Club of Massachusetts in Boston, Pershing predicted a new and deadlier war was coming. 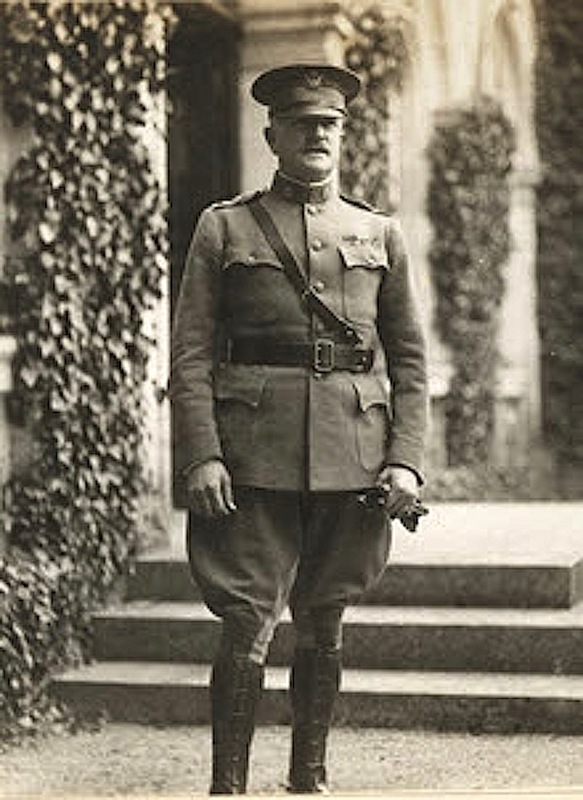 After Pershing’s graduation from West Point, the Missouri native entered the Army and served with distinction until 1924, when the “rules of engagement” demanded retirement. The previous night, the 64-year-old war hero had become the first chief of staff to radio address, coast to coast, to an audience estimated to be 25 million. In a famous speech calling on Americans to support troops of the American Expeditionary Forces, Pershing underscored the enormity of the task confronting the Yanks. On Monday, Pershing will – in a sense – again stand before an audience. O’Brien, former principal of St. Mary Catholic School in Woodstock, will portray the general in the final lecture in this year’s Sampler Series. The program begins at 3 p.m. at the McHenry County Historical Society Museum, 6422 Main St. in Union. Admission is $10. By 1905, Pershing’s cool demeanor under fire and military record had caught the eye of President Theodore Roosevelt, who petitioned Congress to give Pershing a diplomatic post as a military attaché in Tokyo to observe the Sino-Russian War. Upon Capt. Pershing’s return from Japan, Roosevelt nominated him as a brigadier general, a move Congress approved. 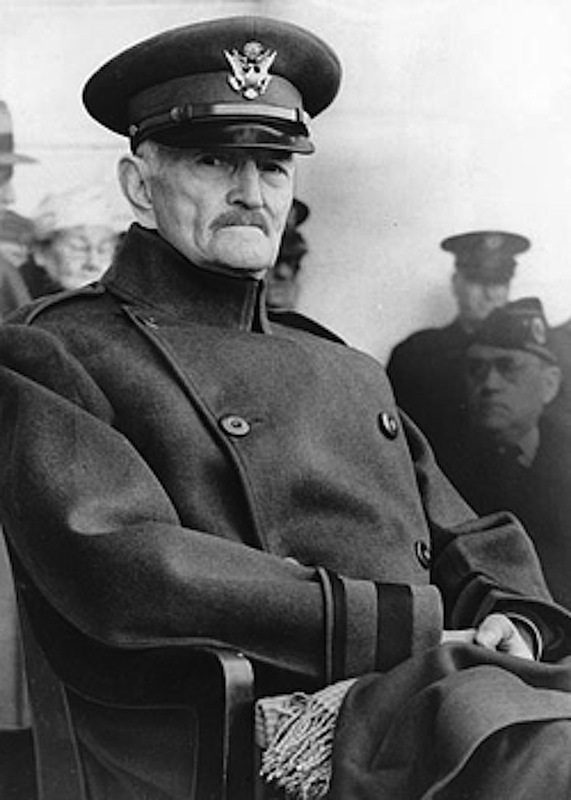 However, allowing Pershing to skip three ranks and more than 800 officers senior to him did initially lead to some hard feelings. Pershing, who had earlier earned a law degree at the University of Nebraska, returned from Europe with the hoopla of a conquering hero. That inspired a short-lived bid to become the Republican nominee for the 1920 presidential election, which was won by Warren G. Harding.